Spring is almost here! Well, almost. It’s never too soon to start getting ready for Easter or anything else that concerns bunnies. 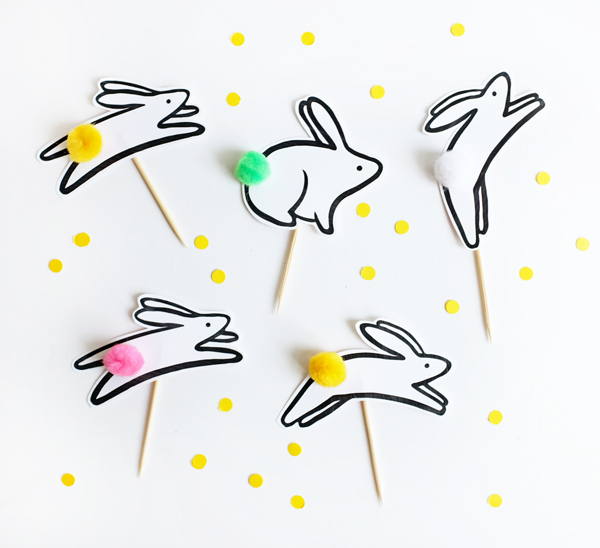 These fun leaping bunny cupcake toppers are so cute and easy to assemble. They will add a bit of action into any Easter party. 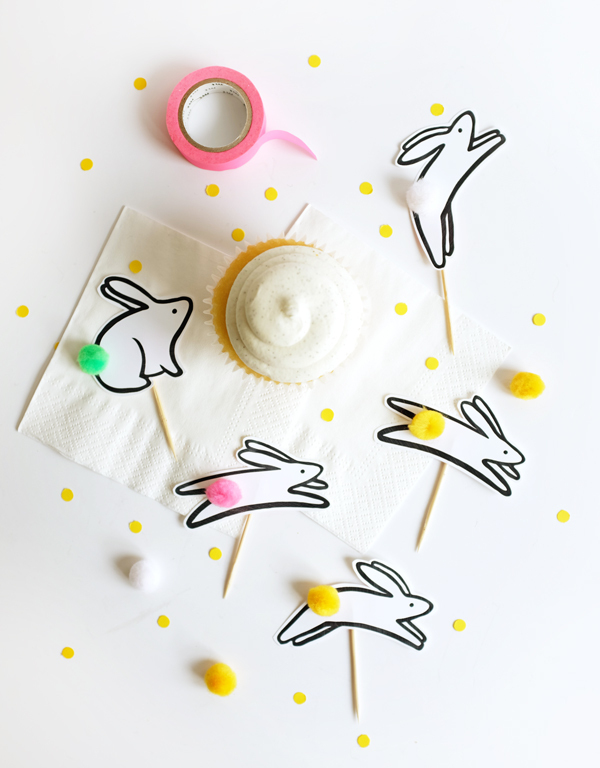 Materials: Printable Jumping Bunny Cupcake Toppers, 8.5 x 11 white card stock, scissors, glue, tooth picks, tape, mini pom-poms. 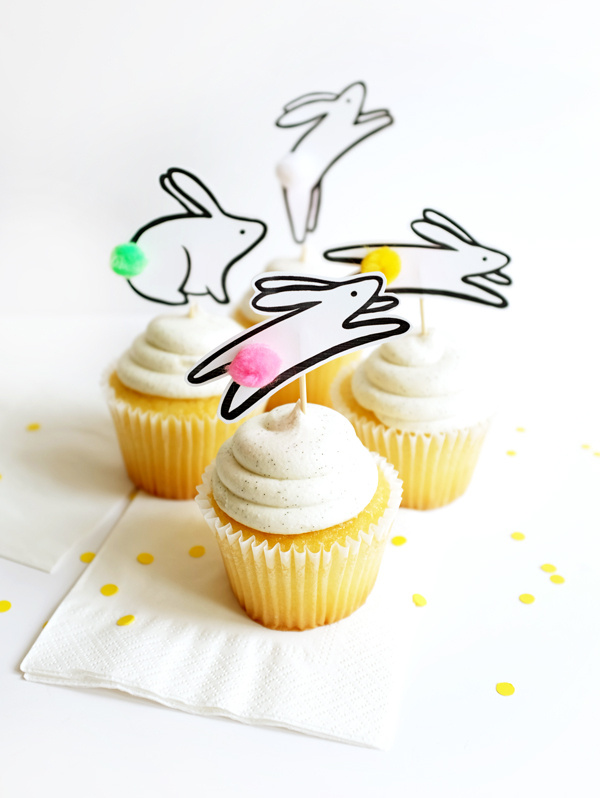 Step 1: Print out Printable Jumping Bunny Cupcake Toppers on a 8.5 x 11 white card stock. Step 2: Cut out all of the bunnies with scissors. Step 3: Place some glue on each of the bunny bottoms and press on a mini pom-pom. 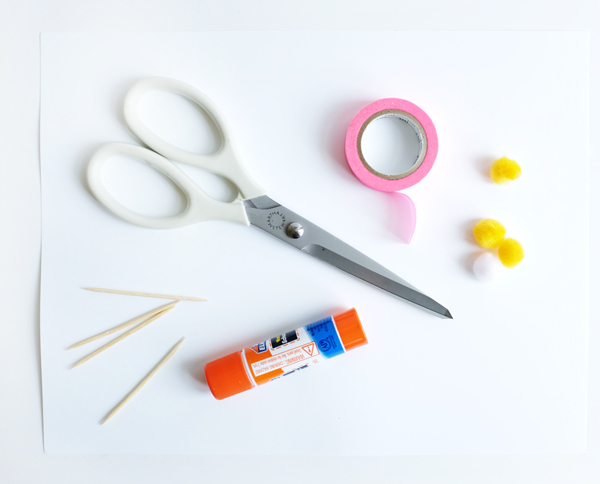 Regular glue should hold if you let it dry but feel free to use something stronger like a glue gun. Step 4: When the bunny tail has dried, turn each bunny over and tape on a toothpick. Make sure you tape them at a good angle so it looks like they are running, leaping, etc. 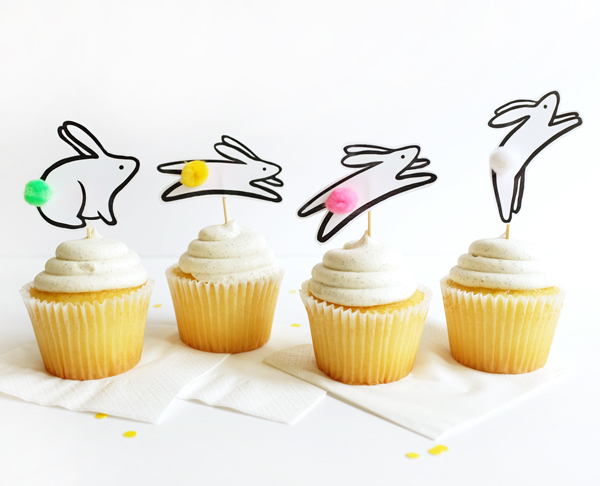 Step 5: Stick a bunny in a cupcake and watch it jump away! Dear Alix, finally modern bunnies, I love it. The best is that I can mix them to make bunny race, so brilliant ! These are beyond adorable, I love them! Love these, especially the Pom Pom tails! I love how fun and easy these toppers are! We’ll totally be using these before Easter gets here! Those tails are too cute!